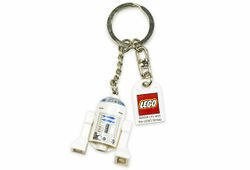 851044 R2-D2 Key Chain is a Star Wars-themed key chain set released in 2004. The set features a key chain with an R2-D2 minifigure attached. Facts about "851044 R2-D2 Key Chain"